Create your very own pixel art with ease and post it to Miiverse™ or save it to the SD Card for use on social networks etc! 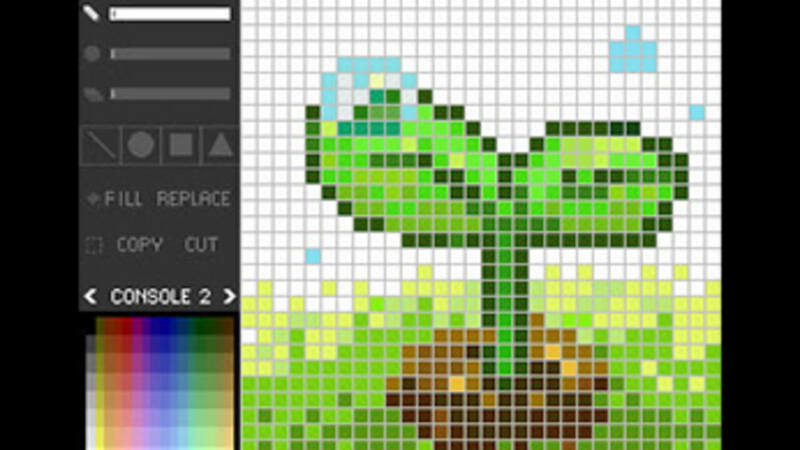 Pixel Paint 3DS is a fine tool for creating pixel art, but as a port it doesn't improve on its predecessor enough to make it great. Creative types will find a lot to love here, but beginners looking for tutorials or some help along the way won't benefit a great deal. Whether you'll enjoy what Pixel Paint 3DS has to offer comes down to your artistic abilities; we just wish that this could have been considered a definitive edition. 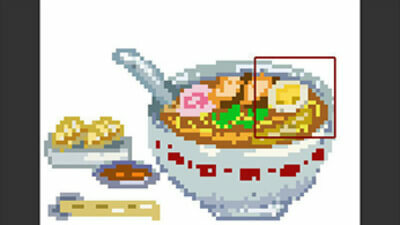 Pixel Paint is a tool only the experienced should really consider. The lesson it teaches is to work within confined limitations. 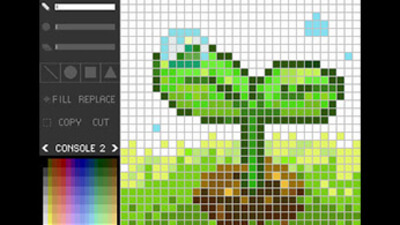 Unfortunately, newcomers to pixel art will likely find themselves spending more time trying to interact with the app than actually creating their masterpieces. Perhaps it shouldn't be as simple as drag and drop, but it should feel a lot more fluid than it does here.